Exit right onto Mineral Point Road. Turn left at second light (Randolph Dive). Greenbriar Village is 1 block on left. Turn right onto Randolph Drive (1 block past West Town Mall). 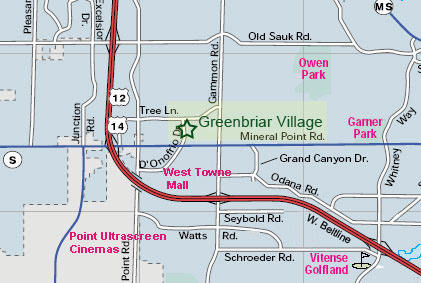 Greenbriar Village is 1 block on left.